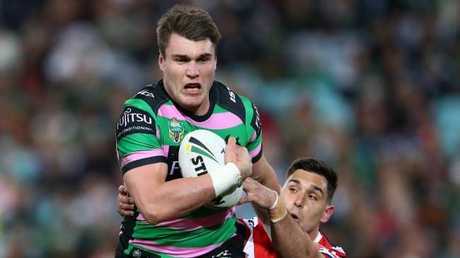 Former rugby player Angus Crichton has reached the heights of State of Origin in rugby league. 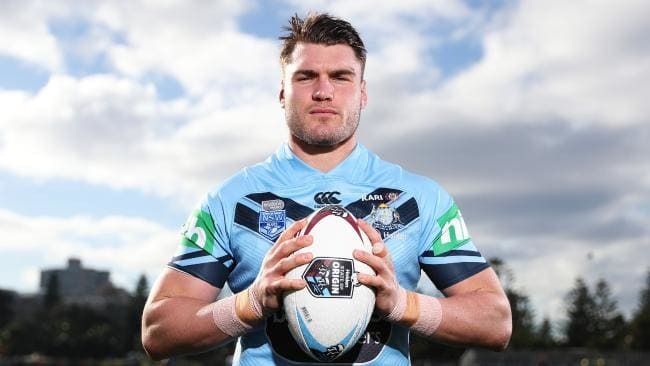 NSW State of Origin star Angus Crichton is toying with the idea of a return to rugby, saying he would love to play for the Wallabies at a World Cup. 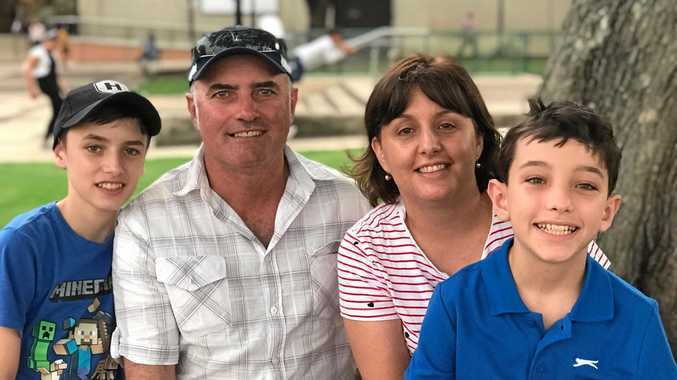 The 22-year-old Rabbitohs forward revealed his long-term career thinking in an interview with the Sydney Morning Herald despite being contracted to the Roosters from 2019-21. Crichton was an Australian Schoolboys rugby star but switched to league when the Waratahs bizarrely told him he would not play Super Rugby until he was 23. Powerfully built and explosive, Crichton played inside centre and No.8 in rugby and could potentially return in time for the 2023 World Cup. Now a "veteran" of 50 NRL games, Crichton still keeps a close eye on the 15-man game and is best mates with Rebels tyro Jack Maddocks, who is poised to make his Wallabies debut in Saturday's Bledisloe Cup opener against the All Blacks on Saturday. "There's always the possibility to go back," Crichton told the SMH. "To play in a Rugby World Cup would be something special. "Australian rugby is starting to build and they are getting back on the front foot. 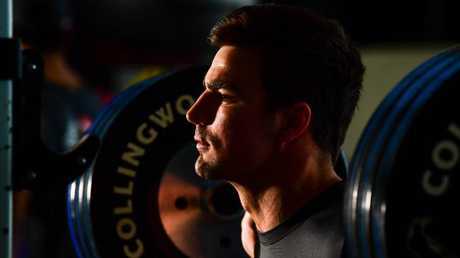 "One of my best mates, Jack Maddocks, is looking to make his debut on Saturday night. "Rugby is a game I grew up playing and enjoy watching, and I could possibly go back one day, be it here in Australia or overseas."